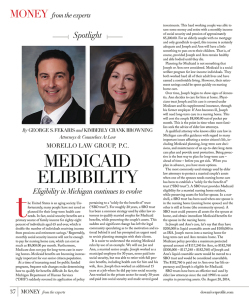 Morello Law Group Attorneys, George S. Fekaris and Kimberly Crank Browning discuss how Medicaid eligibility continues to evolve. 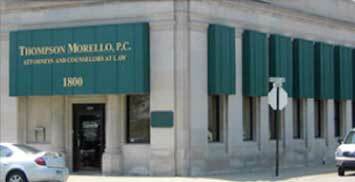 As an estate planning attorney, I often work with clients that have children from previous marriages. 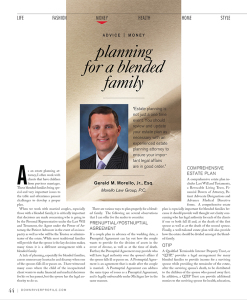 These blended families bring special and very important issues to the table and oftentimes present challenges to develop a proper plan. Every year around this time, our offices receive a flurry of telephone calls from clients and financial advisors alike, with questions regarding end-of-year estate and tax planning. 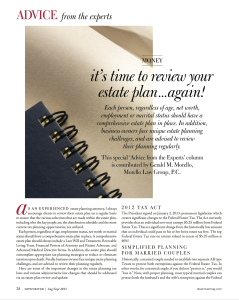 Here are some additional recommendations on what to consider when updating your estate plan. Part 3 of 3. 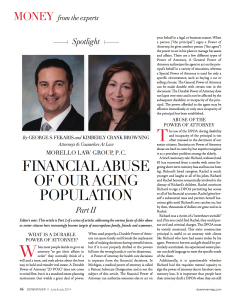 Morello Law Group Attorneys, George S. Fekaris and Kimberly Crank Browning address the various facets of elder abuse as senior citizens have increasingly become targets of unscrupulous family, friends and scammers. Part 2 of 3. Morello Law Group Attorneys, George S. Fekaris and Kimberly Crank Browning address the various facets of elder abuse as senior citizens have increasingly become targets of unscrupulous family, friends and scammers. Financial-abuse-of-our-aging-populationPart 1 of 3. Morello Law Group Attorneys, George S. Fekaris and Kimberly Crank Browning address the various facets of elder abuse as senior citizens have increasingly become targets of unscrupulous family, friends and scammers. Download the article to read how you can help prevent this abuse. 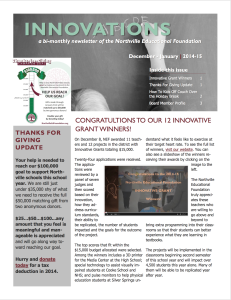 George Fekaris is serving in his fourth year as a Board member of the Northville Educational Foundation. Download the newsletter for his full Board member profile. It’s time to review your estate plan again. 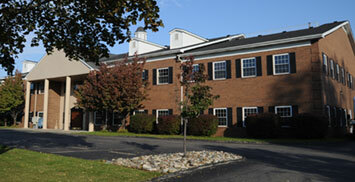 Each person, regardless of net worth, employment or marital status should have a a comprehensive estate plan in place. 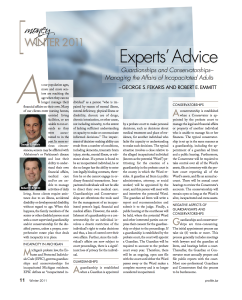 Read this article to get some special advice from Morello Law Group Managing Partner, Gerald, M Morello Jr.
2011_Winter_GSF REE_Experts Advice Guardianships and Conservatorships Managing the Affairs of Incapacitated Adults_Downriver ProfileGEORGE S.FEKARIS AND ROBERT E.EMMITT Guardianships and Conservatorships– Managing the Affairs of Incapacitated Adults. Challenges that business owners contend with when transitioning the business to the next generation. 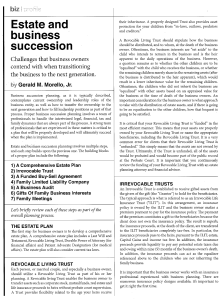 Download this helpful article to familiarize yourself with some succession strategies. I want to thank you for your prompt reply and development of the Attorney Opinion Letters that you sent to my real estate agent. It is a pleasure working with people who understand that client satisfaction is a priority that all firms should strive to obtain.